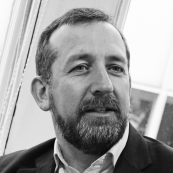 Neil has been the Chief Executive of Social Enterprise Academy for almost 7 years. During this time, the Academy has become the largest Institute of Leadership & Management (ILM) Centre in Scotland, annually supporting around 1,200 people from across Scotland to develop their leadership and entrepreneurship skills. The Academy has also begun expanding internationally, opened centres in Australia and South Africa. In 2011 The Academy was awarded the highest rating ever of any organisation in Scotland's third sector by Her Majesty's Inspector of Education (HMIE). The following year, Neil won Ernst & Young's prestigious Entrepreneur of the Year Award in the Social Enterprise category. Neil's early career was in the private sector for 15 years where he co-founded and was Managing Director of an IT consulting firm based in Brighton. He worked closely with large corporate clients such as American Express and British Aerospace. On selling his stake in his IT business, Neil embarked upon an MBA at Stirling University where he developed the idea for a social enterprise he founded in 2004. Quit&Save, with the support of Scotland Unlimited, was set up to support people quit smoking using peer learning principles. Neil served on the board of Impact Arts, Scotland's largest arts-based social enterprise and has recently chaired a group to create the Social Enterprise Strategy for Edinburgh, Scotland's capital city.